This delicately beaded gown had it's picture released with some of the original photos. We have not seen it any of the movies so far. 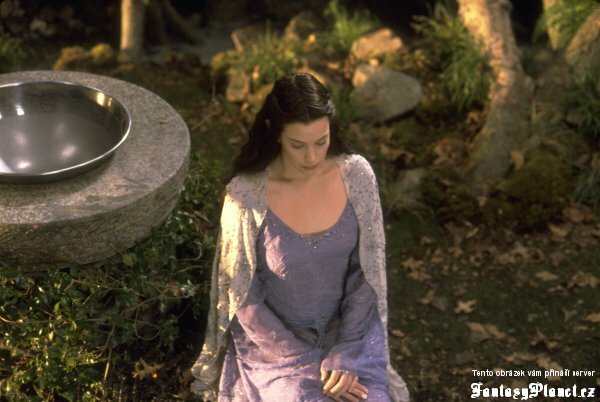 The scene is in a garden with Galadriel who is wearing her Prolog dress. This dress appears to be patterned the same as the Prolog Dress, with the bodice fitted at the side, drop but pointing waist and flared skirt. Sleeve shape is unknown. It is probably the same as Galadriel's. It looks to be made from a delicate silk, heavily beaded. There a lining layer as well.